A stone’s throw away from the new Market District in Upper Arlington is the far more modest and human-scaled Tremont Center. Founded in 1954 and built of sturdy limestone, The Tremont Center is home to some of the historic gems of Upper Arlington. When my friend, fellow Slow Food Board Member and Upper Arlington native, Molly, found out that I had never been there, she took it upon herself to organize an outing for myself and a small group of similarly uninitiated friends. On a recent Saturday morning, we visited three of the stalwarts of the Tremont Center: Huffman’s Market, The Original Goodie Shop and The Chef-O-Nette. For anyone who grew up in Upper Arlington, these are places that childhood memories are made of, and, according to Molly, little has changed since hers. 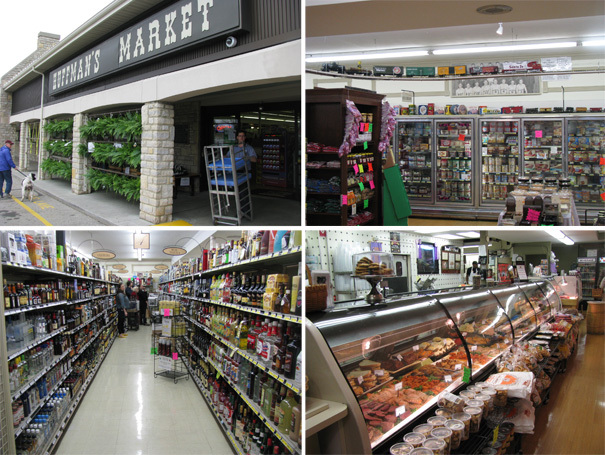 Huffman’s Market is the newest of the three but will be celebrating its 25th anniversary this year. It’s a family business, with a wealth of long term employees, that prides itself on customer service. Like the other independent markets in town Huffman’s does a great job of promoting local Ohio products and also has an impressive selection of wine, beer and spirits. What it’s most known for though is the toy train that runs around the ceiling and has kept many a child entertained while Mom shops. The Goodie Shop opened in 1958 and has been run by the same family since 1967. We were shown around by granddaughter, Emilie, who talked to us about the history of the business and introduced us to their range of goodies. She was a wonderful ambassador and it was clear that the Goodie Shop means a lot more to the family than just dollars and cents. 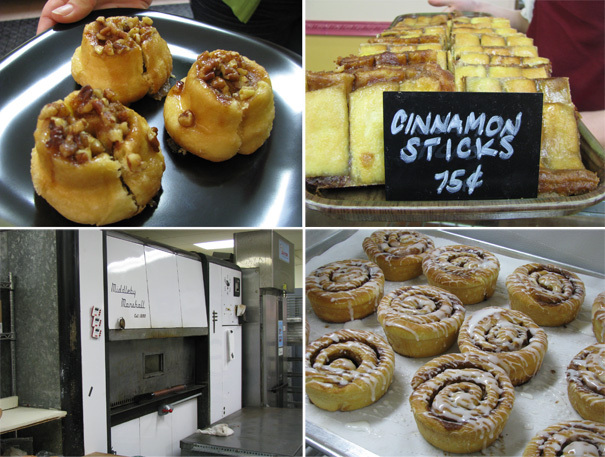 One of the most popular items is the cinnamon stick, which Emilie described as a cinnamon roll lasagna. Essentially a pastry bar made with layered sweet roll dough, Kortintje cinnamon and sugar, The Goodie Shop sell over 50,000 of them a year. Everything is baked from scratch on the premises in their wonderful antique oven, and donuts are made fresh daily and sell out early (especially on Ohio State football game days). 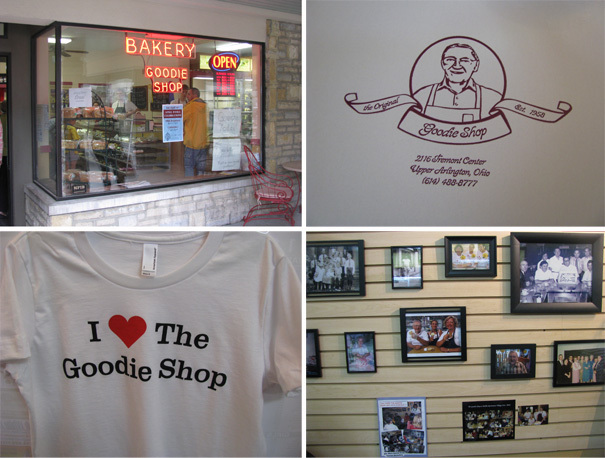 If you visit the Goodie Shop you can be assured of freshness, friendly service and nostalgic treats like thumb-print cookies, sweet rolls and chocolate long johns. It’s not all sweets though – the Goodie Shop also has chicken pot pies, breads, buns and quiches. The Goodie Shop has history but walking into The Chef-O-Nette is like taking a step back in time. This isn’t neo-retro, it’s the real deal, and you get the sense that nothing has changed since the restaurant opened in 1955. My favorite thing was the undulating formica counters, the perfect place to sit and sip on a milkshake or cherry coke. The classic diner menu seems similarly unchanged, except perhaps for the prices (which are still exceptionally reasonable). The Chef-O-Nette is famous for it’s hangover sandwich, a cheeseburger topped with a slice of griddled ham, a bargain at $2.85. The Chef-o-Nette is obviously a much loved family hang out and when we visited there were lots of kids fueling up post-soccer game. 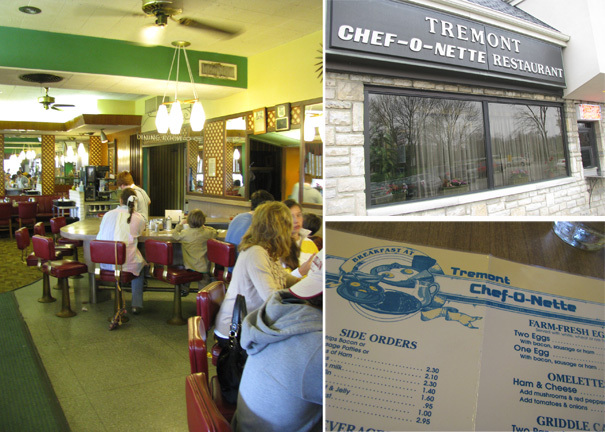 You can read more about the history of the Chef-O-Nette here. Ah, Huffman’s Market and The Chef and the Goodie Shop! I have been frequenting all of those places since my youth. Huffman’s, with their Sunday liquor license has saved a few of my social gatherings/cookouts. I also suggest their chicken pot pie from the prepared food section – really big chunks of chicken breast fillets in there. And the Chef is the Chef – I’ve never had anything bad there. 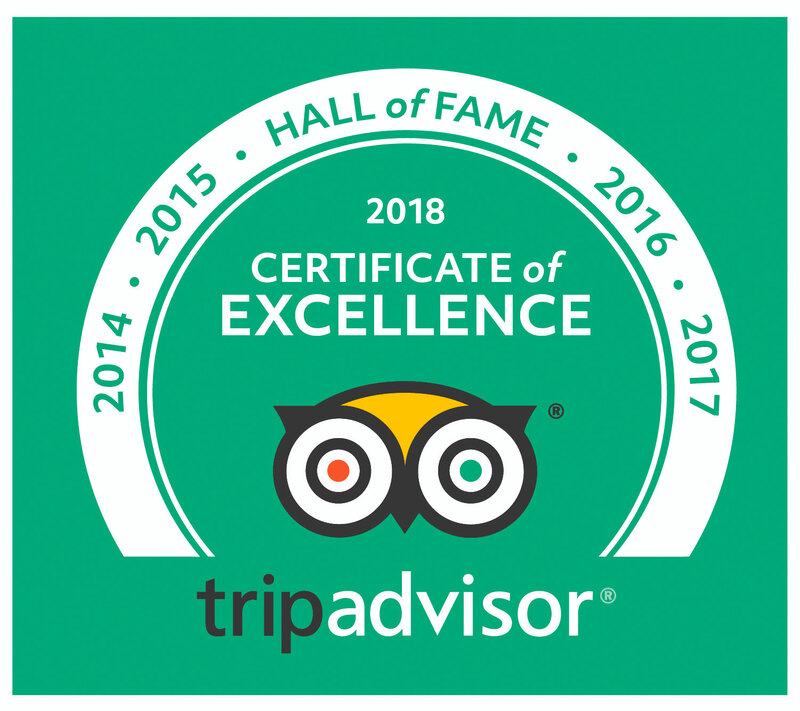 Glad you got around to trying these wonderful places. If you haven’t been to these three places, get there soon. Oh man. I was living near these places for 2 years and had no idea they existed. Thank you so much (especially the Goodie Shop)!!! I haven’t been to the Grill and Skillet but I’ve read quite a bit about it. Any recommendations of dishes there?